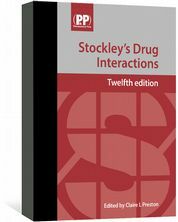 The 2016 Stockley's eBook guide to drug interactions and their management, for the busy healthcare professional. 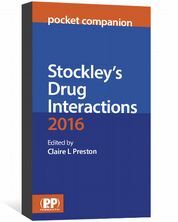 Stockley’s Drug Interactions Pocket Companion 2016 eBook is an easy-to-use, A–Z guide to common drug interactions. 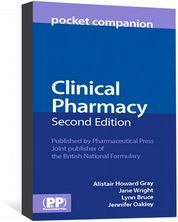 This new edition is based on the latest updates of Stockley’s Drug Interactions and offers evidence-based guidance on the management of common drug–drug, drug–herb, and drug–food interactions.